HAS YOUR WATER METER BEEN STOLEN OR DAMAGED? Call CPM Plumbing Now on 97066880, we can get your water supply reconnected now. 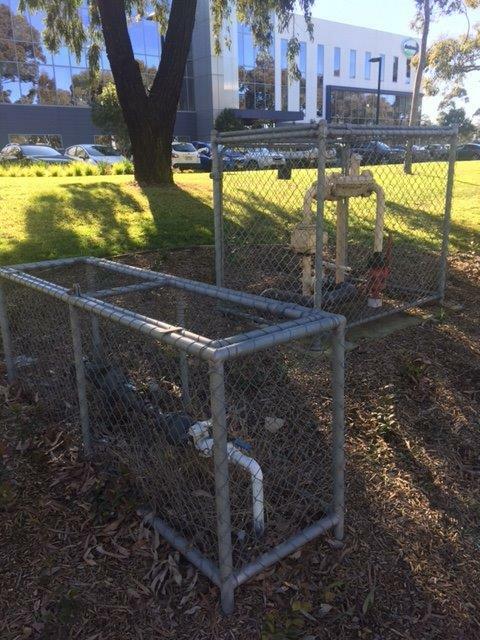 The most common reason for stolen water meters are the brass and copper scrap valve to the thieves, but the low return to them can be very costly to you if you’re in business and rely on water for daily production and operations. 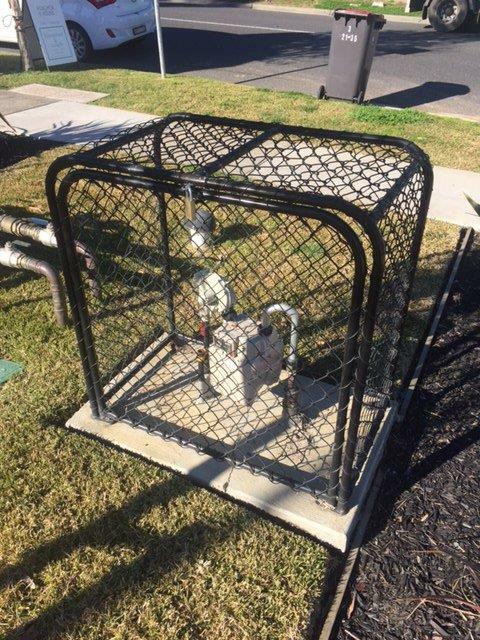 At CPM Plumbing we can get you reconnected in minimal time and have you operational again, this can be done in a matter of hours. We can also assist with your replacement meter via your local water authority and help with that police report. If you’re a commercial or private property owner a property lease manager or a business in need we can help, just call our friendly team. 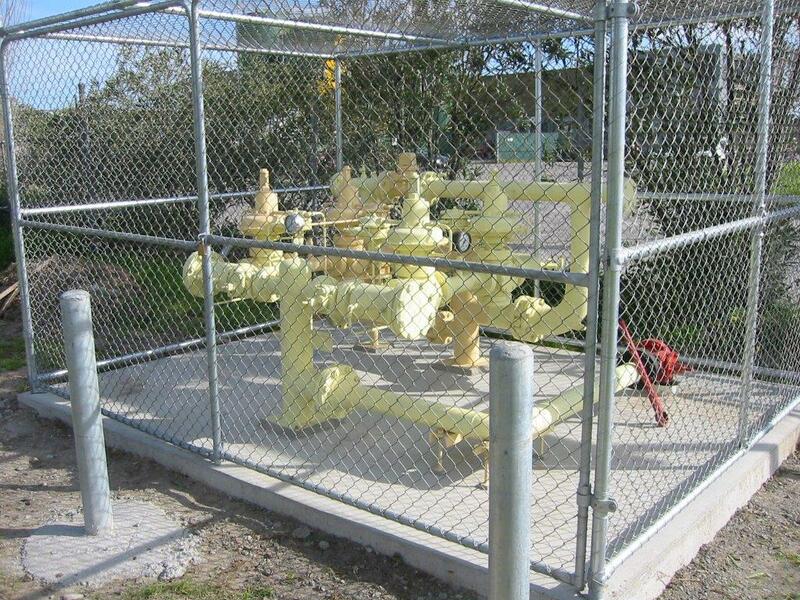 Our sturdy protective cages will help protect against thief and protection of your water and gas meter assembly and the inconveniences it causes, we have a range of cages to suit all needs from ground mounted to wall mounted types of cages or they can be made to suit your specific requirements. 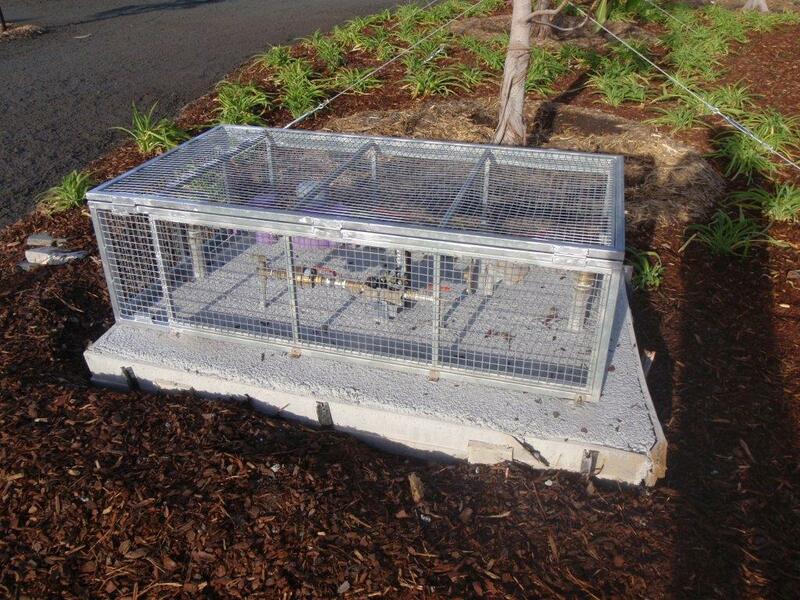 The cages are design with meter reading accessibility in mind and can be done without having to open the cage, once again saving you unnecessary time lost to deal with this regular requirement. 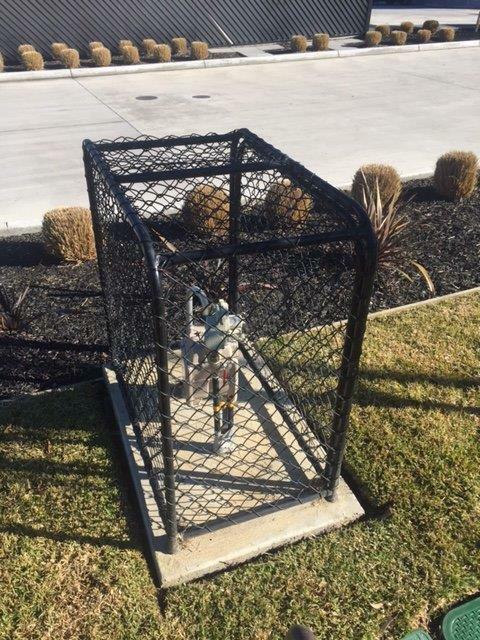 The cage can also be set up with a tamper proof locking system for high risk areas like hospitals, school and public buildings etc. 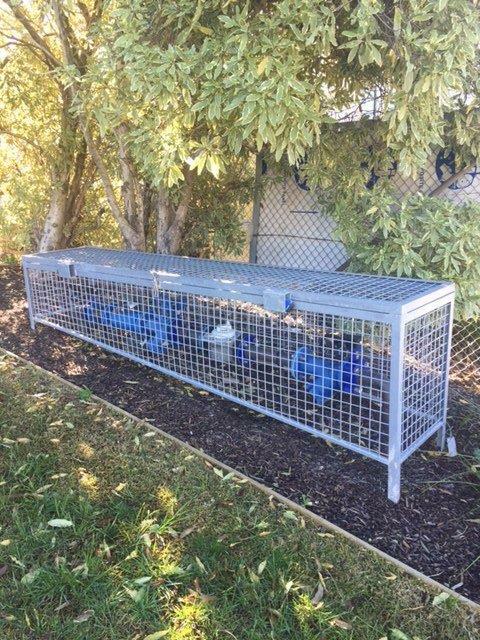 We can supply large water meter cage to suite local water authority interconnection assembly, our cages are made to comply with industry standards. 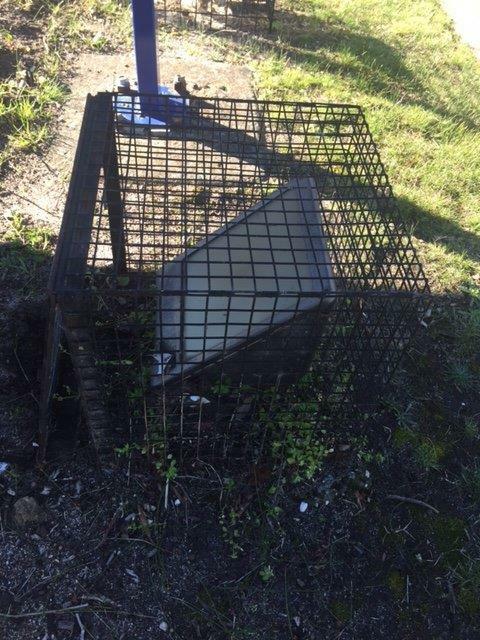 Check out our gallery of typical meter cages. 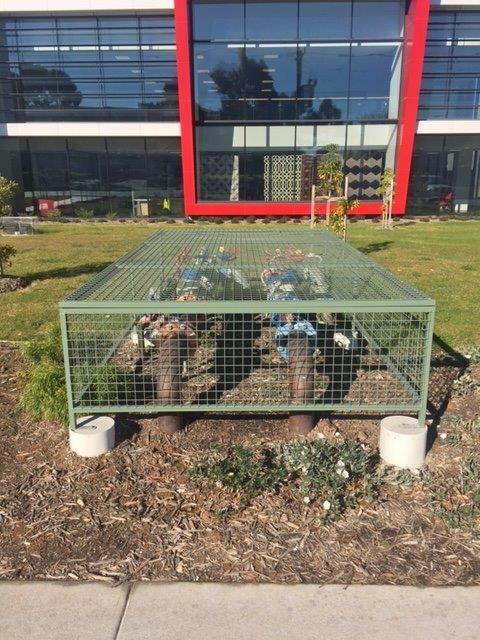 Protection against thief or vehicle damage. Stop possible down time to your business with loss of production. Would be thieves will move onto an easier target. 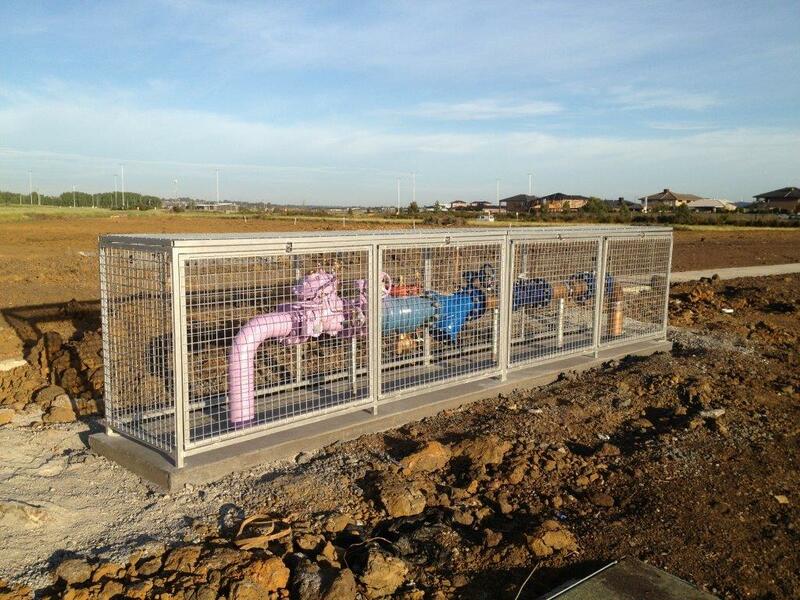 Durable galvanized or powder coat finish. Stop tampering with shut off valves. 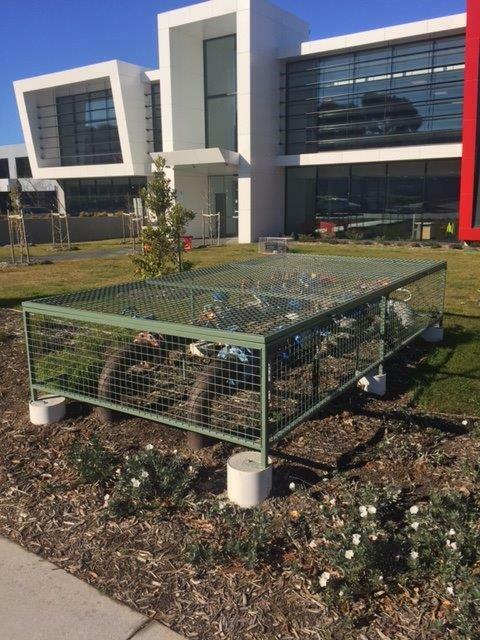 For the security and protection of your asset and business give us a call on 97066880 to arrange a fast turnaround to install just the one or multiple cages.